Installation of new sorting equipment at a recycling plant. It has been announced that TIRME, who are responsible for the treatment of municipal waste in Mallorca, have updated their recycling plant with the addition of four new TOMRA Sorting Recycling AUTOSORT units. The project, which has been carried out by Stadler, has increased the sites’ annual capacity to 20,600 tonnes per annum of processable packaging waste. In addition to this, TIRME has also relocated some of its older units to other parts of the plant. The next part of the installation will include the addition of a Central Control Unit, which will remotely monitor all the AUTOSORT units at the plant and obtain real-time data on the materials being recycled. To take a look at the full details from this project, click here. Back in 2015, Södra and Statkraft signed a co-operation agreement for the future production of second-generation biofuel. They’ve formed a jointly-owned company that will look to find a cost-effective technology to produce biofuels based on forestry raw materials, which has led to them agreeing to invest in a new demonstration facility. Construction will reportedly start in February 2018, and start-up is planned for spring 2019. When complete, around 100-150 million litres of biofuel will be produced each year with the initial intention of using it for heavy road transport. 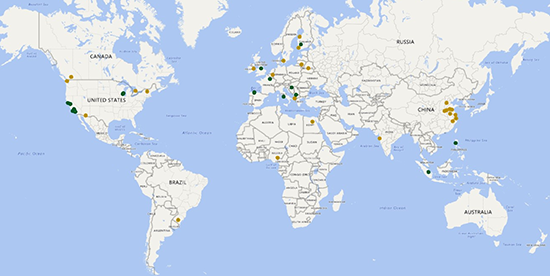 In the week ending 15th December 2017, AcuComm added or updated 46 projects in our database. These have a combined investment value of US$3,179 million. There were 18 completely new projects this week and 28 updates. This brings the total number of active projects in the database to 5,033. They have an estimated value of US$352.2 million. Ireland was the leading country in the past week in terms of project value, accounting for US$588 million. This was equal to 18.5% of the total. The leading company in the last week was Covanta Energy UK, a project partner/associate. To take a look at the latest projects, click here. 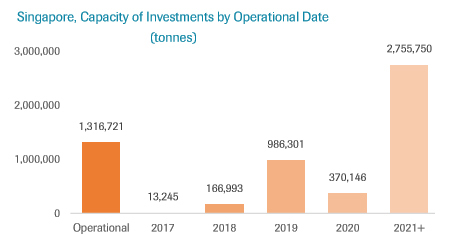 Next up in our series of Global Waste Investment Fact Files is the Singapore edition. As of August 2017, AcuComm was listing 11 projects originating in the country. These have a total value of US$3,307 million or US$301 million each. Integrated/mixed facilities was the leading project type, accounting for US$2,331 million or 70% of the total. This is followed by incineration (with energy recovery), accounting for US$731 million or 22% of the total. The total estimated capacity of these projects is 5.6 million tonnes. This is equal to 509,923 tonnes per project on average. This capacity is equal to 187% of Singapore’s estimated annual waste generation at 3 million tonnes. Waste investments totalling US$3,130 million are expected to become operational over the next few years. This is currently expected to peak in 2019 at US$583 million. 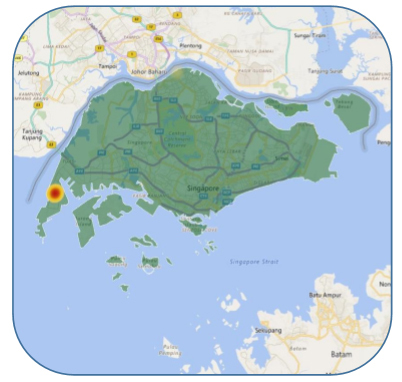 Alternatively, you can take a look at all of Singapore’s projects in the AcuComm database by clicking here. Asja Ambiente has presented details of the Anziobiowaste project, which includes a plant that is currently under construction to produce biomethane and compost. When complete, the plant will process up to 36,000 tonnes per annum (tpa) of organic waste and 14,000 tpa of treated green waste. This project is now available to access for the next 7 days. To keep up with the latest, click here. The Sustainable Energy Fund for Africa (SEFA) has approved a Project Preparation Grant worth US$990,000 to support the development of a biomass-to-power plant in Harding, KwaZulu Natal Province. Agricultural, forestry and timber waste will be processed at the facility. Construction is expected to begin in September 2018, with full completion of all stages by December 2020. To catch up on the latest from this project, click here. The City of Winnipeg is planning to implement a new material recovery facility (MRF) to process and separate municipal solid waste from the area. Service providers have been issued a Request for Proposal to construct, own and operate the new plant, which will close on 17th January 2018. An innovative waste management organics facility is to be constructed at Waste Management Inc’s site in Sun Valley, CA. The project will involve the recovery of food waste from the Los Angeles municipal solid waste stream, which will be converted into renewable electricity, natural gas and fertiliser. Anaergia will be using their patented Organics Extrusion Press technology at the facility to extract up to 300 tonnes per day of organic waste. The European Union Office in Kosovo has published a tender for the supervision of works at a biomass/cogeneration project and technical assistance for the district heating company in Gjakova/Dakovica. Applications are open until 8th January 2018, when between four and eight candidates will be selected to submit detailed tenders for the contract. To keep up with the latest updates to this project, click here. Towards the end of last month, it was announced that construction had begun on the Haiyan Waste-to-Energy Project in Zhejiang Province. China Everbright International will be investing in the project and building the WtE plant, which will have an eventual processing capacity of 1,200 tonnes. The gas emissions from the plant will be fully compliant with the Euro 2010 standard. To take a look at the full details associated with this project, click here. Strategic Materials has opened its new state-of-the-art glass processing plant in Delavan, WI. The facility will replace the company’s plant in East Troy and will help to increase glass recycling in the state. Delavan was chosen as a centralised location to help defray material recovery facility logistic costs from transporting the glass. Estimates suggest that there’s at least 121,000 tonnes of glass in the recycling stream annually. For more information from this project, including contact details for key decision-makers, click here.